This is full lead (24%) crystal produced by hand in Europe (Poland) by experienced European craftspeople. The Medallion cut is a crisscross diamond cut topped with a wheat cut. Highly polished and is great choice for salads, fruit or centerpiece use. 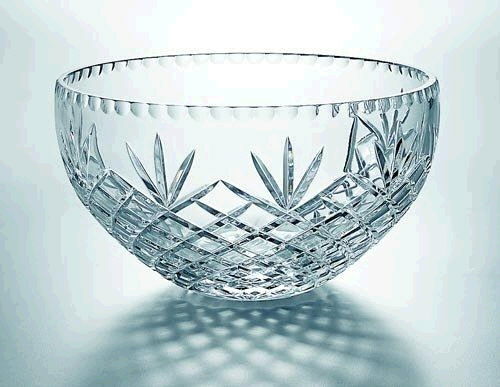 * Please call us for any questions on our bowl crystal 10 inch rentals in Ft. Wayne IN, Warsaw, Syracuse, Auburn, South Bend, Indianapolis IN.